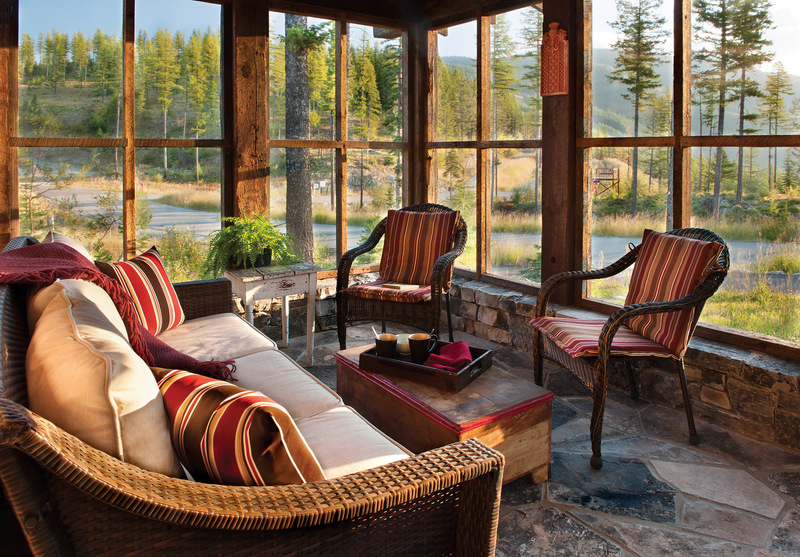 WHEN RICK AND SUE WILLIAMS decided to build a vacation home on Big Mountain in Whitefish, Montana, they envisioned one that was modern and comfortable, yet equally at home in its wild, natural surroundings. “We wanted it to look as though we updated a structure that had been here generations,” says Rick. Salvage has never looked so stunning. 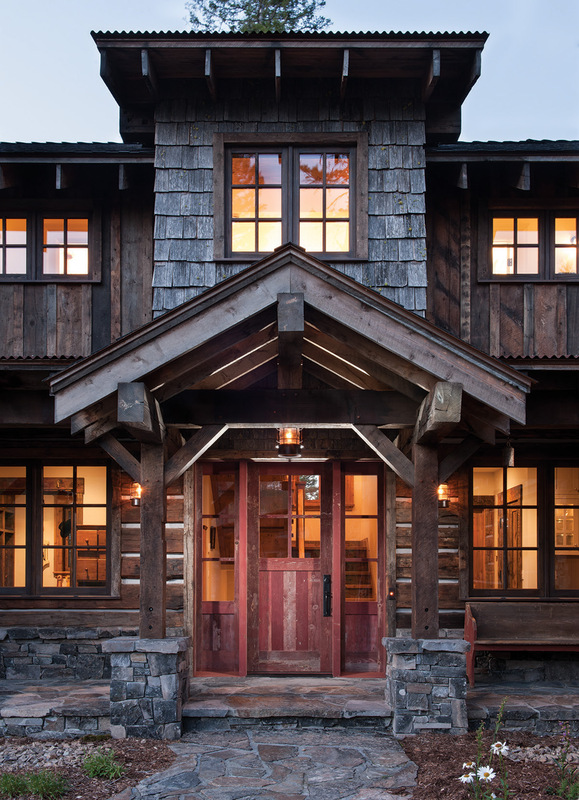 The house, which offers majestic views of the mountains and Whitefish Lake, is an artful blend of old and new. Reclaimed lumber, native stone, moss-flecked rocks and vintage hardware from centuries-old homesteads have all been incorporated into the striking, well-appointed, two-story 5,000-square-foot dwelling. Salvage features strongly in the interior décor as well. A large, old barn door serves as the entry to a locker room-themed mudroom that provides personal storage areas for up to six guests. The room also has an airflow system designed to dry out wet ski boots and gear. A large, open great room is a vibrant mix of materials and textures. 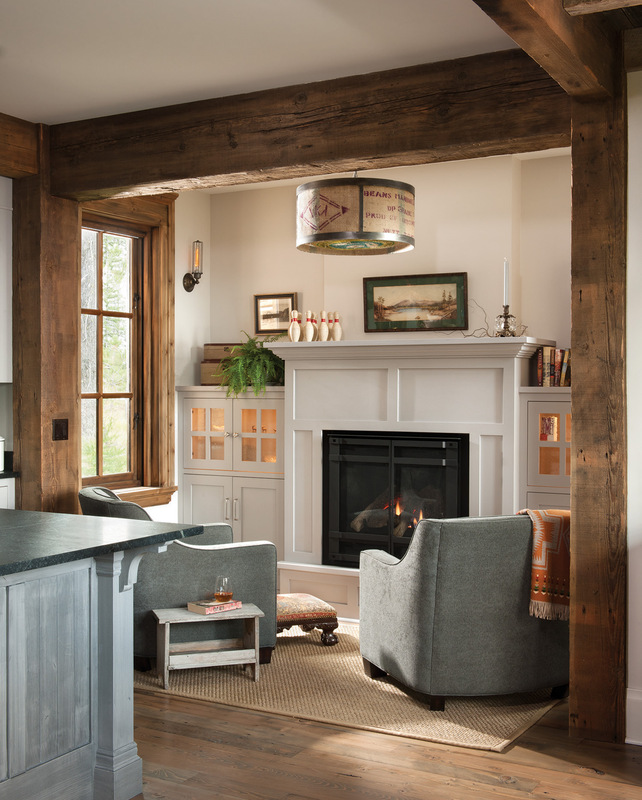 Reclaimed floors and hand-hewn beams are a striking contrast beside contemporary, gray-painted cabinets and smooth, light-colored paint on flat walls. In the center of the room stands a grand fireplace made of 150-year old stone culled from a quarry in Hot Springs, Mont. A variable mix of ceiling heights and strong splashes of color also contribute to making the room feel inviting and cozy. 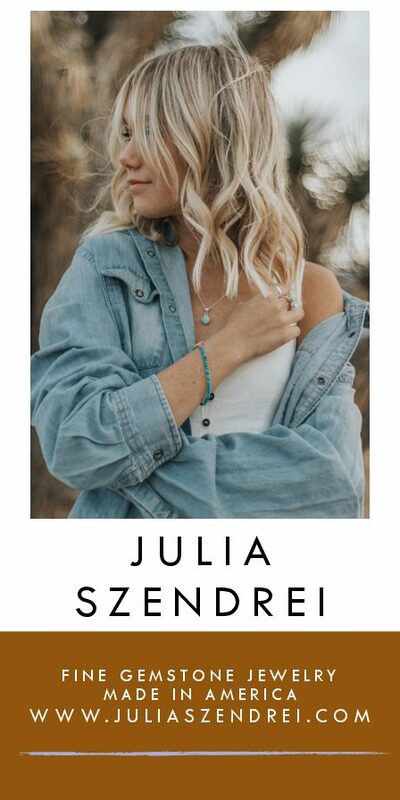 While the unique patina of the lumber, the nail holes, imprints and coloration, may be a main attraction, the stories about where it came from and how it was used add a whole new level of interest. 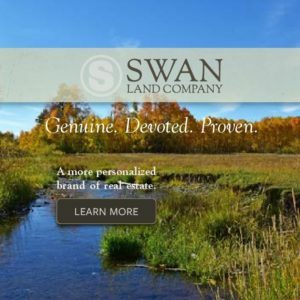 The team went to great lengths to procure the right materials — most of which came from the greater western Montana area. Upstairs, on the second level are two spacious guest suites and a multi-purpose room that features a contemporary quad of built-in bunks, each with their own outlet and storage cubbies. Low-sloped ceilings prevail. In step with a lot of the older building styles in the area, there are a lot of built-ins throughout the house — cabinets and seating areas — plus plenty of little nooks. On the main floor, past the master suite and an office, lies one of Sue’s favorite spaces, a secluded screened-in porch. Look closely at the logs and you’ll see an old newspaper pages, in particular an advertisement for a 1910 Savage rifle, retailing for $9.95. 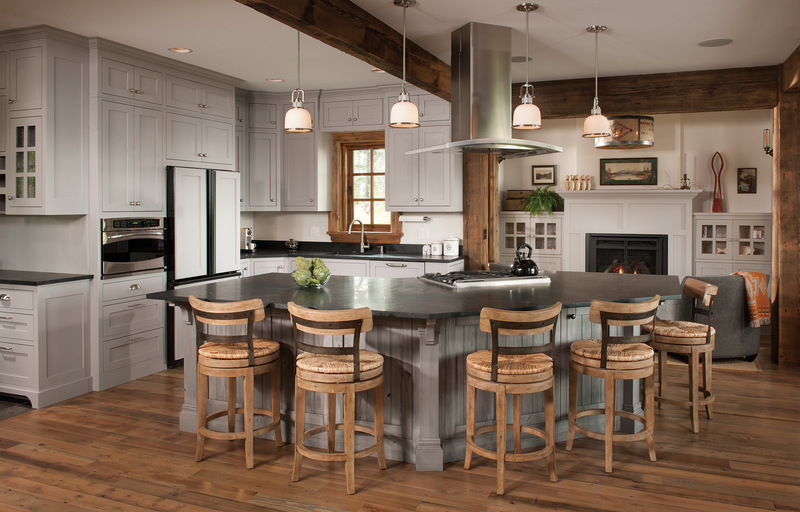 Contemporary, gray-painted cabinets and smooth, lightcolored paint offset reclaimed elements in the kitchen. Past the master suite and an office, lies one of the owner’s favorite spaces, a secluded screened-in porch. 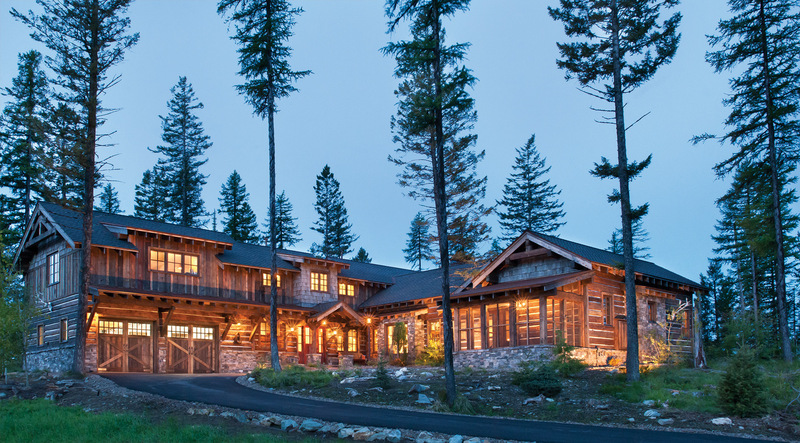 The house, which offers majestic views of the mountains and Whitefish Lake, is an artful blend of old and new. 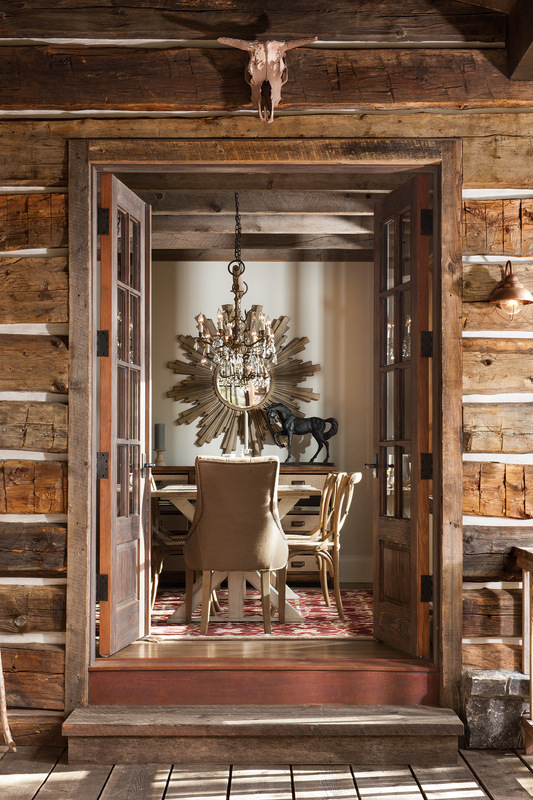 Reclaimed lumber, native stone, moss-flecked rocks and vintage hardware have all been incorporated into the home. 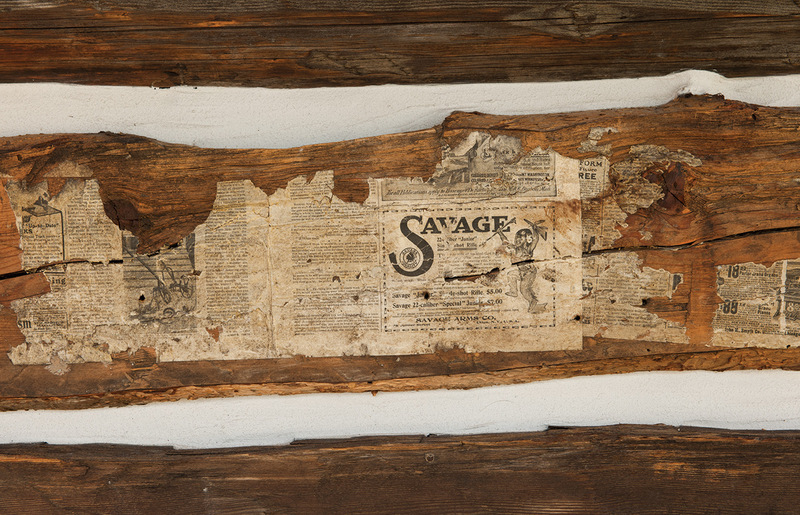 A close-up of an old newspaper ad for a 1910 Savage rifle that was found on one of the reclaimed logs. A nook with a fireplace sits off the kitchen, providing an idyllic spot for morning coffee. 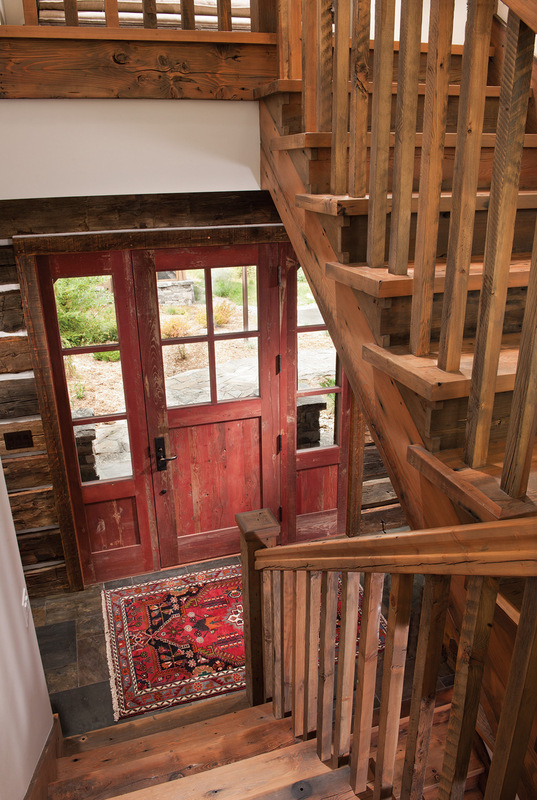 The stairwell and entryway were crafted to look like an original homestead building. The master bedroom is tucked away on the main floor, just past the great room.